Atheists could set up their own schools in England under the government's education reforms, Education Secretary Michael Gove has said. Mr Gove said he would be "interested" in proposals from individuals such as atheist Professor Richard Dawkins. 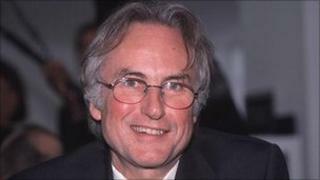 Last month Prof Dawkins, who wrote The God Delusion, said he liked the idea of starting a "free-thinking free school". Under Mr Gove's "free schools" plan, parents, teachers and others will be able to set up their own schools. But Mr Gove said he would not choose such a school for his children. Answering questions from MPs on the Commons education select committee on Wednesday, Mr Gove said: "One of the most striking things that I read recently was a thought from Richard Dawkins that he might want to take advantage of our education legislation to open a new school, which was set up on an explicitly atheist basis. "It wouldn't be my choice of school, but the whole point about our education reforms is that they are, in the broad sense of the word, small "l", liberal, that they exist to provide that greater degree of choice." Mr Gove, whose two children attend a church primary school, told the cross-party group of MPs that he "recognised that there are some people who explicitly do not want their children educated in a faith-based setting". "One of the principles behind our education reforms is to give people the maximum amount of choice so that those people, and they may not themselves necessarily have a very strong religious faith, but who believe that the ethos and values of faith-based education are right for their child, have that choice but others who want a different approach can take it as well." Speaking after the hearing, Mr Gove said he had seen a reference to Professor Dawkins expressing an interest in establishing a school. In June, Prof Dawkins said in a conversation on the Mumsnet website: "I like the idea very much, although I would prefer to call it a free-thinking free school. "I would never want to indoctrinate children in atheism, any more than in religion. Instead, children should be taught to ask for evidence, to be sceptical, critical, open-minded."